We understand the importance of your child’s first visit to our offices. A healthy first experience at the dentist can make the following years of dental development a huge success. The American Academy of Pediatric Dentistry recommends that children visit a dentist by the age of one. A lot of factors go into the healthy development in your child’s oral hygiene, and by starting your child early both of you are better prepared to maintain a healthy mouth. During the first visit our team will introduce your child to a dental cleaning, and give them the opportunity to become comfortable in their surroundings. If your child is too young to sit in our exam rooms, we will complete the exam while they are sitting in your lap. After their first visit we recommend children visit their dentist once every six months. This allows us to better track your child’s dental development, as well as establishes a positive rapport with your child. Our group of amazing doctors will do anything and everything to ensure that your child's visit is safe and fun! 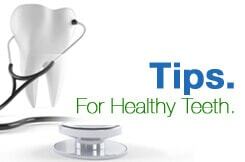 Learn the ins and outs about how to keep your child's teeth healthy and sparkling. Choosing a dentist can be one of the toughest decisions a parent may face. If you have any questions at all, check out our FAQ page.